Are you experiencing nagging discomfort during and after running? Maybe you find yourself spending all your time foam-rolling and stretching, but you are still not getting relief? Muscle injuries are the worst!!! It is knowing when to push verses when is too much, because not listening to your body can set you back in your training. A tight muscle can lead to further injuries like a strained or a pulled muscle. Why do I know this all first hand? I was fighting hamstring discomfort for over nine months. I rolled and stretched and just figured it would not go away. NOPE! So, I started to over-compensate which then caused the pain to move up to my glute. then into my hip and down my IT-band. I finally decided that it was time for treatment, so I went to see a physical therapist. After only two short months, I have already seen a huge difference. The magic answer for me and my knotted up left leg was called Dry Needling. Dry Needling is a part of modern--day Western medicine principles, supported by research (MoveForwardPT.com). Physical Therapists use dry needling treatment to relieve pain or improve range of motion by releasing or inactivating trigger points (MoveForwardPT.com). Physical therapists use different lengths of needles to pinpoint trigger points. These needles are inserted into the “belly” of the muscle which then “releases” the knot in the muscle and allows for normal blood flow. Here’s how my non-medical brain pictures this: the muscles in my hamstring have created a big balled knot which is not allowing blood to flow properly. As the PT inserts the needle, the knotted-up fibers will “pop” like a balloon. They then begin to release, allowing the blood flow to move properly. As silly as this sounds, it is exactly how it feels! When my PT hits a trigger point that is tight, I can feel the muscle releasing and a “twitching” occurs. My therapist has used different needling techniques with my injury. On my hamstring, my PT will insert the needle into the muscle trigger point, and then will pull the needle out. With my hip, quad, and IT band she will insert the needles into my trigger points and may leave them there for two to three minutes. At times she will add E-Stim on my IT band while the needling. The E-Stim helps enhance the treatment effect for pain relief. I am not going to lie, getting needled does not always feel the best during treatment, but is 100% worth the discomfort for the relief it brings. Ever since I started using dry needling, I have had minimal muscle discomfort. Of course, there are days that I am sore or have pain, but they are now limited. I have been receiving dry needling therapy twice a week for a little over two months during my marathon training. 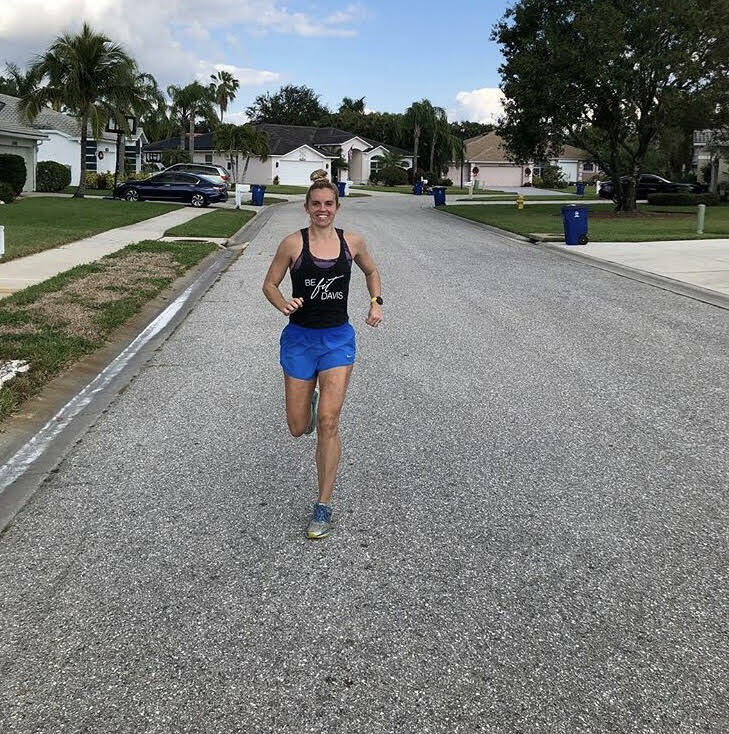 I am averaging, on a normal week, 60-65 miles, on a cut week 45-50 miles, and on a peak week 70-85 miles, all-the-while strength training 2-3 times a week. If I am seeing such a difference in pain level while marathon training, imagine where I could be with cutting back on my miles and needling twice a week! I truly believe that dry needling for muscle injuries is super effective and beneficial for recovery. I am not a physical therapist, nor do I have a degree in sports medicine. I am just an avid runner who is sharing my opinion about the effects of dry needling from personal experience and research.